A utility worker in Plymouth suffered serious burns in an electrical injury while working at Myles Standish State Forest, according to The Boston Globe. Federal regulators with the Occupational Safety and Health Administration (OSHA) have reportedly launched an investigation and will be looking to see whether any work safety violations took place. The 51-year-old worker reportedly was in a bucket truck and was just beginning his shift that morning when he apparently touched some live wires. He was transported by helicopter to Boston’s Brigham and Women’s Hospital for treatment of severe burns on his hands. His clothes also were reportedly charred. He had sustained burned to his abdomen and chest as well, but his condition wasn’t immediately known. He reportedly had not lost consciousness, spoke with a paramedic and understood what had occurred. Officials with the local fire department reported the worker was a subcontractor for a communication company and was installing fiber optic cable on utility poles near the main electrical lines. Each of the live wires allowed up to 13,200 volts of power to surge through at any given moment. 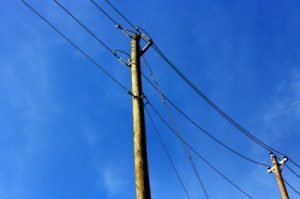 These kinds of accidents are perhaps more common for those in the utility fields, though they can occur virtually anywhere there is electricity – particularly if there are exposed wires. Some employees may work directly with electricity, as you might expect of utility workers, electricians or engineers. But there are also those such as office workers or salespersons who work with it indirectly. The problem often is that we have become so familiarized with electricity that its power – and potential danger – often are not respected. These can result in anything from minor burns to serious burns to death. 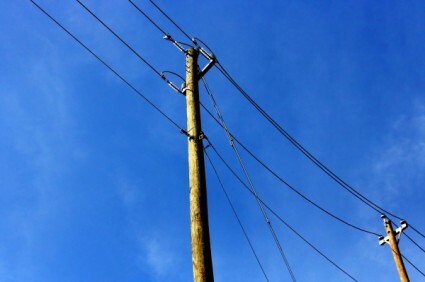 Make the assumption that all overhead wires are energized at potentially deadly voltages. Do so even if the wire seems to be insulated or safe to touch. If an overhead wire falls across your car or truck, stay inside and keep driving away. If the engine stalls, don’t try to get out of the car. Warn others not to come near or touch the vehicle or wire. Call 911. If you’re standing in water, don’t operate any electrical equipment. Don’t try to fix electrical equipment or cords unless you are trained and authorized to do so. Make sure a qualified electrician inspects any electrical equipment that has gotten wet before turning it on. If you are working in a location that is damp, check all the electrical equipment and cords to make sure they are free of defects and are in good condition. Be extra careful anytime you are working near electricity. We often are so used to it, we forget its power. The good news for injured workers is that even if you were negligent in causing the work-related injury, workers’ compensation in Boston provides no-fault compensation for those injuries. And if a third-party is partially responsible, that individual or company may be pursued in a civil injury lawsuit.